Gary Neville has had his say on Wayne Rooney this season, and thinks the United No.10 dropping deep is only a natural evolution in his game. 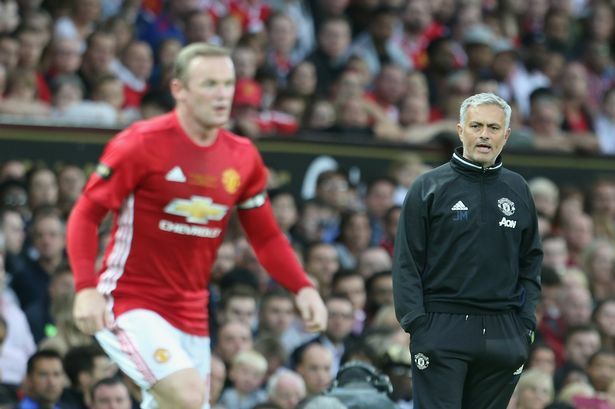 In recent games, José Mourinho has deployed Rooney in the ‘number 10’ role, and Neville has called for the United manager to evaluate whether he brings enough value to the team to play there; the former Red Devils defender jumped to the defence of Rooney concerning his critics, however, saying that only Mourinho should be concerned about what he adds to Manchester United. Neville believes that stopping Rooney dropping deep is not an option, which is why he has called for Mourinho to look at Rooney and decide whether he wants his ‘number 10’ to do this. “Wayne Rooney will always go deep, it’s a non-point. The only question that needs answering is whether he is still contributing to what Manchester United and Jose Mourinho want,” he told Sky Sports. “Mourinho is playing him as a No 10 but he’s dropping him deeper. It’s impossible to stop Rooney dropping deeper, that’s what he is now. “He is still contributing in that position, setting up and scoring goals. “I don’t know why we are surprised that a 30-year-old player ends up going deeper. He is more midfield player now than a forward because that’s where he plays, but he can still score goals and contribute. Rooney will be looking to feature in Thursday night’s trip to Dutch side Feyenoord in the Europa League.